Coming with kids can be a big challenge to find things that interest them and in some way, to do things that both, you and them, enjoy. In most of the cities, there are 3 places that cannot be missed which are the zoo, the aquarium and the science museum. This is my list of TOP 10 things to do with or for your kids. Castle of Barcelona (carretera de montjuïc 66) in Montjuic. 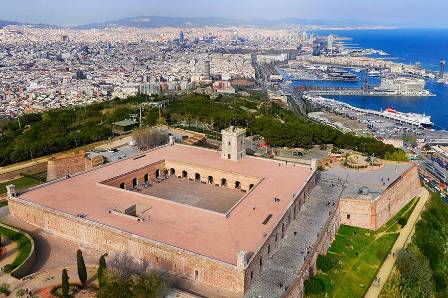 The castle is located at the top of the Montjuic hill where your children can imagine themselves as a great knight. To reach it, the best is to take the funicular from the L3 parallel metro station then take the cable car. 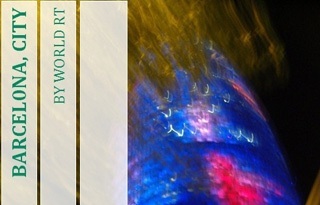 To know more, read my topic Montjuïc castle. Zoo of Barcelona (parc de la ciutadella) in Gothic. 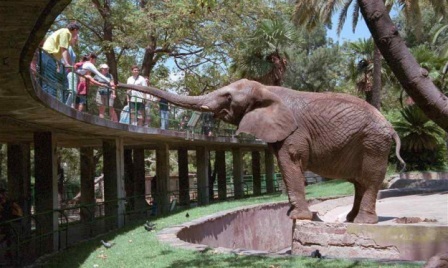 The zoo is the place to not miss in any country and Barcelona doesn't escape to this rule. Your kids will have fun to discover different animals and birds. 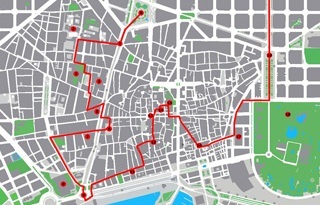 There are 2 entries, one by the Ciutadella Park and the best is to get down at the L1 arc de triomf metro station. The other one is at the wellington street and the L4 ciutadella vila olimpica is the closer metro station. 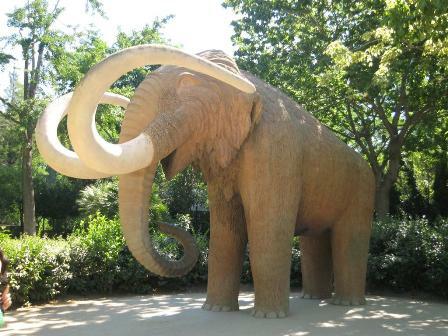 More details, read my topic Zoo of Barcelona. Aquarium of Barcelona (moll d'espanya del port vell) in Gothic. The aquarium is like the zoo, you can't miss it with your kids. There are plenty of things to discover including penguins. 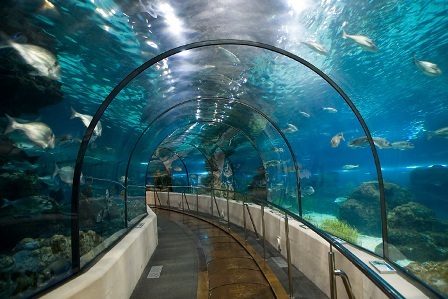 One of the attractions is to walk under the water through a tunnel so you can see fishes swimming around you. Metro: L3 drassanes. Cosmocaixa science museum of Barcelona (carrer isaac newton 26) in Sant Gervasi. 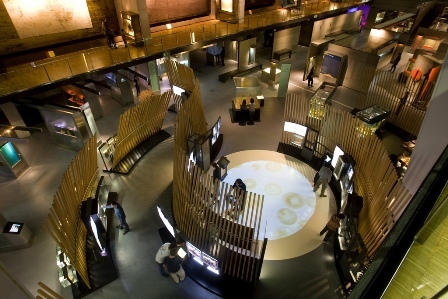 The science museum is a good place to entertain because there are a lot of things for your child to experiment alone or with you including a planetarium. There is also a recreation of an Amazonian rainforest ecosystem where you can walk inside to discover different faunas. Avinguda tibidabo is the closer FGC train station that you can take from the catalunya square (line L7). 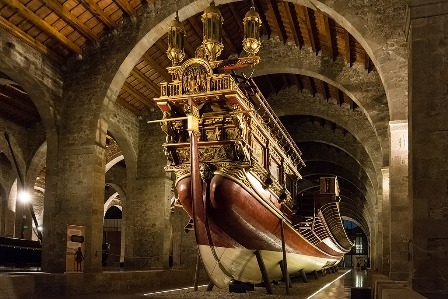 Maritime museum of Barcelona (avinguda de les drassanes) in Raval. 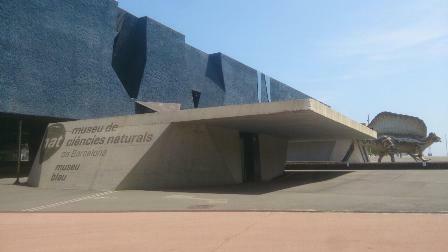 The maritime museum owns few things to amaze your kids but it is worth to go there. Inside there is a big real replica of a royal galley that will make them imagining conquering the whole sea. Moreover, there is a lovely courtyard with a small pool with fishes and turtles that will captivate your children meanwhile you can enjoy a quiet break. Metro: L3 drassanes. Ciutadella Park of Barcelona (passeig de picasso 21) in Gothic. The Ciutadella is one of the big parks of Barcelona which hides great architectures like Cascada, a beautiful big fountain where a great family picture will be marvelous. Surely, your kids would like to jump up on the mammoth’s trump, rent a boat and give foods to ducks and swans. Also, it is a good place to do a picnic sitting in the grass. Metro: L4 jaume I. Other details, read my topic The best of the Ciutadella Park of Barcelona. Tibidabo’s amusement park (plaza del tibidabo 3-4) in Tibidabo. This theme park is made especially for young kids and they will like the different rides. 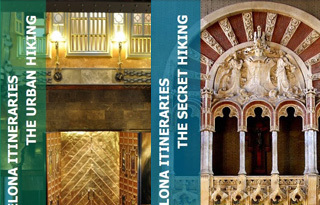 Except that, you will get also a great view of Barcelona because it is located at the top of a mountain. The easier way is to take the Tibidabo blue bus from the catalunya square which will bring you directly from the downtown to Tibidabo. 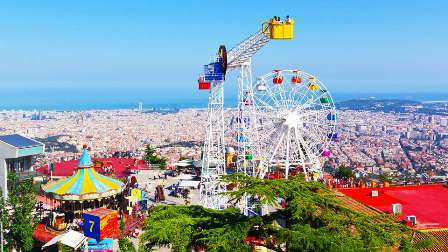 More information, read my topic Tibidabo of Barcelona, a mountain with many surprises. 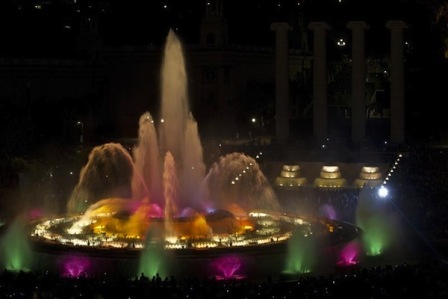 Magic fountain of Barcelona (plaza de carles buigas) in Sants. The magic fountain is a show of light and water dancing in the rhythm of music in front of the MNAC, each session lasts about 20 minutes. The time schedule is different depending of winter (20h-21h from Thursday to Saturday) and summer (21h-22h from Wednesday to Saturday) time. Metro: L1/L3 espanya. Requesens palace (carrer bisbe cassador 3) in Gothic. 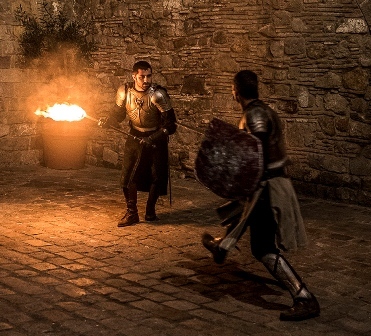 This place organizes 3 kinds of activities, the one that will entertain your family will be the dinner one that includes a guided visit and a medieval show with knight fights. It takes place every Friday and Saturday at 19h30. Metro: L4 jaume I. Forum park (plaza del forum) in Forum. This area offers 3 activities that will amuse your children. First, the natural science museum known as blau (blue) museum due to the color of the building, you will discover a lot of minerals, dinosaurs and false animals in real size including different manual game rooms for kids. Secondly, the urban adventure park to do bungee jumping, zip wires, nets, creepers, suspension bridges and trunks on platforms up to 6 metres in height. And thirdly, the cable sky to do wakeskating, wakeboard and kitesurf pulled by a cable. Metro: L4 maresme forum. And before to close this topic, 2 extras but not in Barcelona. Port Aventura (avinguda pere molas, km 2 at Vila-seca in Tarragona). Port Aventura is the mayor theme park of Catalunya located outside of Barcelona. It has different kinds of rides that will satisfy from young to older kids. The best is to go early in the morning and leaving late in the evening so you can enjoy the full day. The park is divided in 2 sections: one is “earth” and the other is “water”. To go there, take the R16 train from Barcelona Sants station to Port Aventura station. 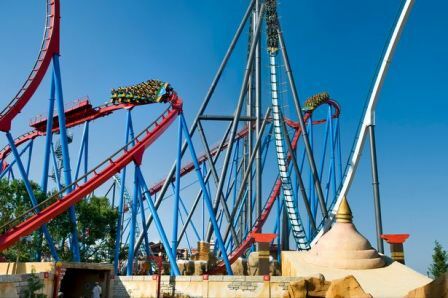 More details, read my topic PortAventura, the amusement with attractions. Catalunya Miniature (can balasch de baix at Torrelles de Llobrega in Barcelona). 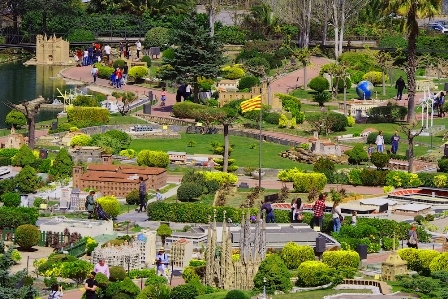 Your child will feel like a giant in this place, as you may guess, Barcelona is miniaturized. You will also be able to see the city on a bridge, indeed different bridges are crossing the city to allow you to see from the top. The best to go there is to take the bus 62 by the company Soler i Sauret, you will find it at the riera blanca street (at the corner with the travesera de las corts street) and get down at the catalunya en miniatura station. 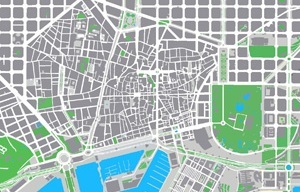 Don't forget to check my other topic Barcelona for kids for more ideas.